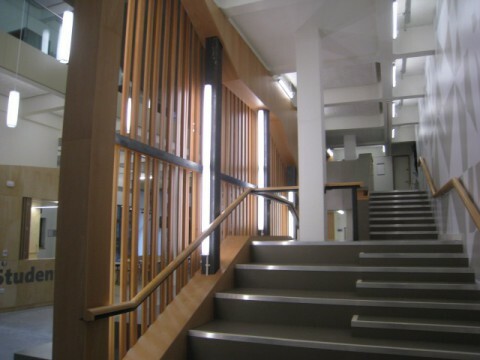 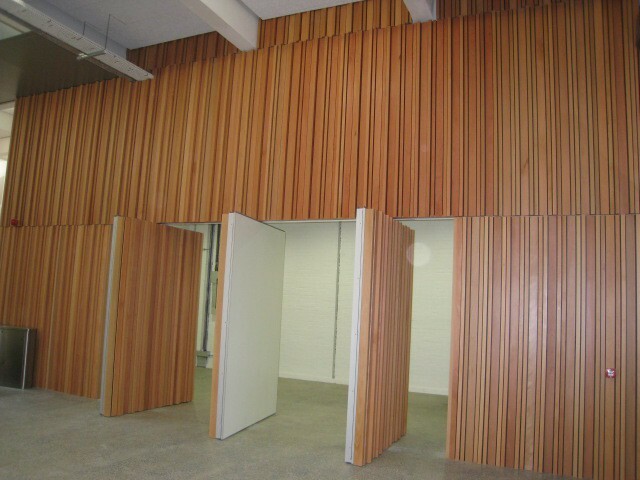 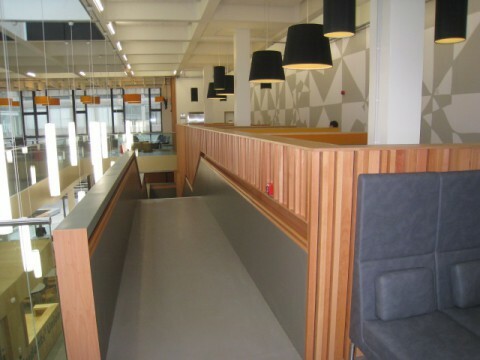 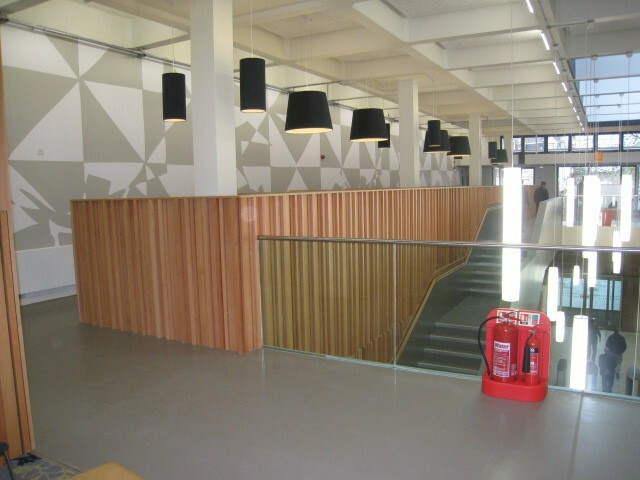 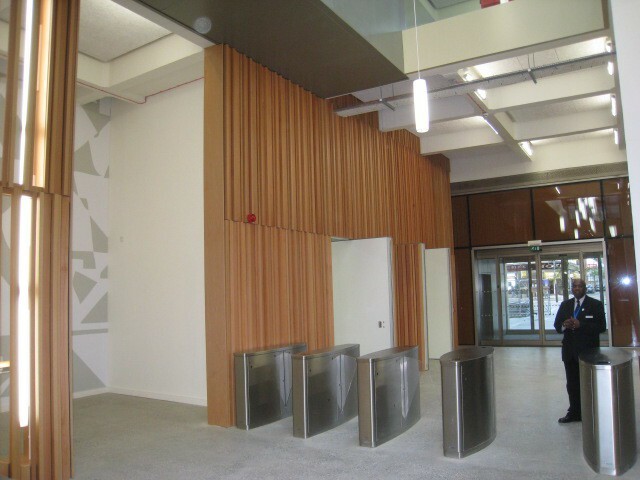 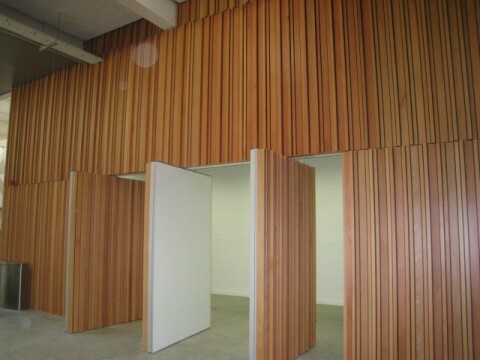 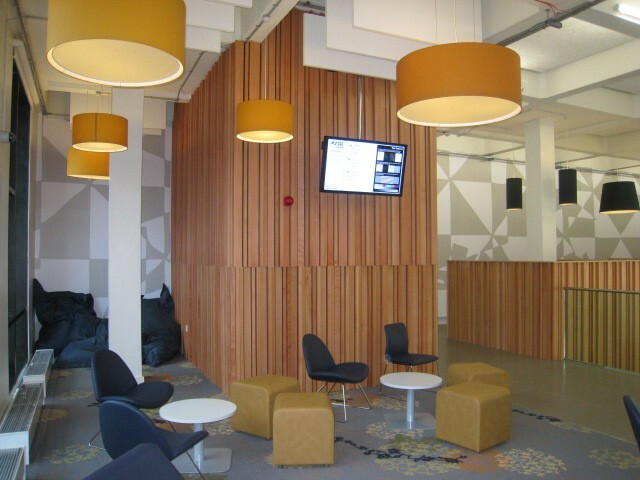 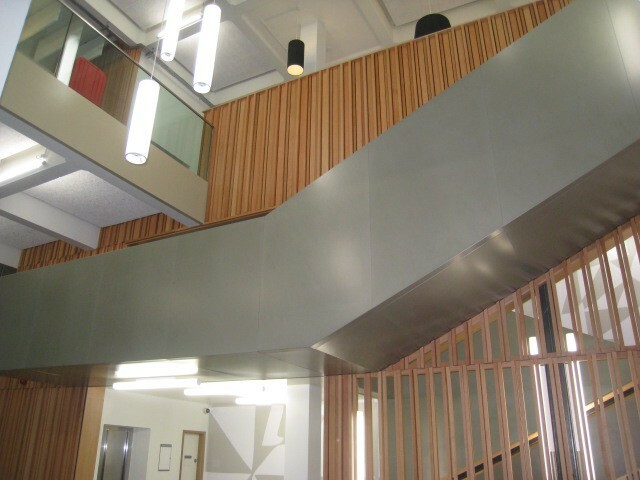 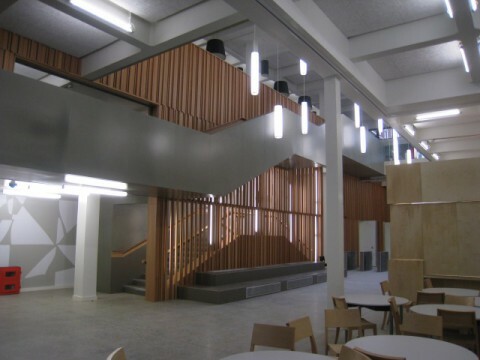 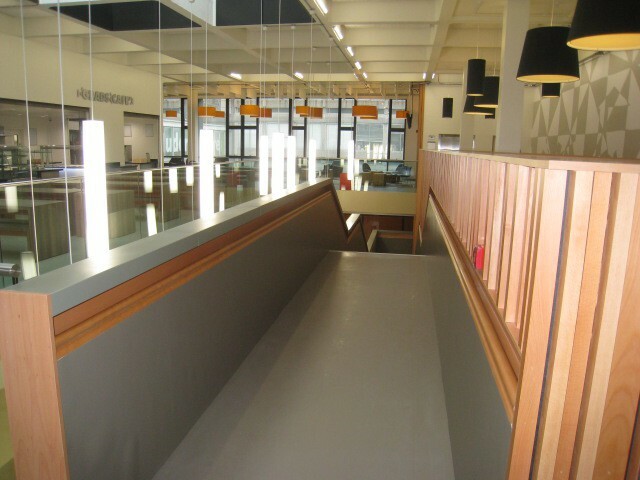 Working for a Main Contractor, this 6 month project involved the supply and fit of the internal reception area steamed beech timber cladding to ground and first floors, including the cladding out of the booths and stair well fascia’s. 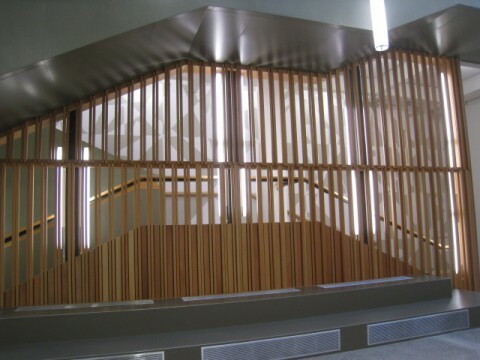 The open stair timber panelling posed quite a challenge to install due to the lengths of timber involved and the absence of any physical fixings, to create a floating look as the architect envisioned. 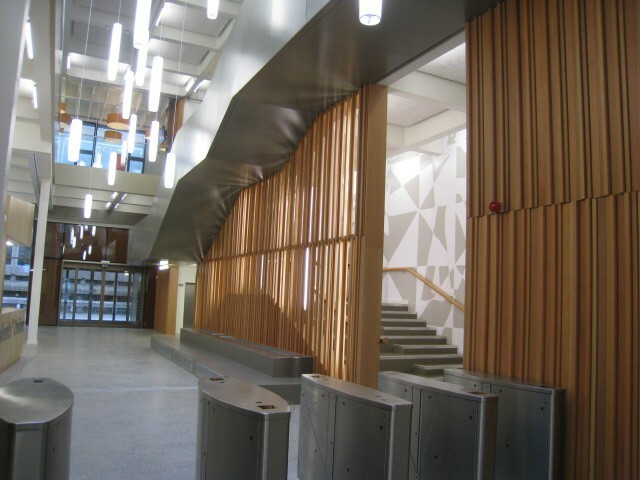 We also supplied and fitted the internal roof facades to the students waiting area, and we were tasked to clad the 360 degree revolving doors in the same steamed beech timber cladding.